Black Piranha Review: Is this the Most Advanced Fat Burner Today? Home » Review » Black Piranha Review: Is this the Most Advanced Fat Burner Today? Hi-TEch Pharma's Black Piranha is a fat burner and weight loss supplement designed to achieve lasting energy, acute mental alertness, and extreme weight loss. Black Piranha is considered to be the most potent fat burner on the market today. Hi-Tech Pharma, its manufacturer designed Black Piranha to strike so fast & fierce that you will feel the extreme energizing effects in just moments after taking your first dose. It uses multiple pathway approaches to target weight loss and energy. With this energy and fat burner product, you get a fat burner that is way ahead of the competition. The formulation of Black Piranha aims to achieve lasting energy, acute mental alertness, and extreme weight loss. Some say Black Piranha is one, if not the most potent weight loss and fat burner supplement in the market today. One reason for this is that it contains Methylhexanamine HCL (DMAA), a fan-favorite stimulant. Hi-Tech has been at the forefront on the Diet & Energy for 20 years and their coca leaf based weight loss products are among the leaders in the weight loss category. Black Piranha manufacturers claim to get results greater than you have ever experienced before. Combine Black Piranha with a sensible diet, regular exercise and your physique will reach heights you never believed were possible. Hi-Tech Pharma uses its Proprietary Blend with Thermo-Rx and Extend-Rx Technology in this product. Gastric upset may be experienced when taking Black Piranha on an empty stomach. In addition, due to its potent ingredients, continuous use can lead to stress to the liver and its functions. Cycling is advised. Brought down more than 5lbs in the last 3 weeks with very little change in the amount of food I take. Looking forward to hitting 12lbs in a couple of months. Looking forward to my next bottle. 8/10 for fat burning. 9/10 for energy. 6/10 for appetite suppressing. Overall, I like taking it. I've been taking Black Piranha for more than a month now. I noticed some visible changes in my obese 1 stature. Product seems to be working. Recommended for sure. A number of users have expressed their support and delight from what Black piranha gave them. This fat burner may be a little aggressive in weight reduction and lipid burning. It still deserves some credit for achieving the benefits that it claims. Proprietary Blend, the exact mix of its potent ingredients is undisclosed. Some users may love the added caffeine kick but such potency can lead to some adverse effects. This product has not yet been approved by the FDA. Hi Tech pharma’s Black Piranha is a fat burner that uses a deep neurological approach to burn up excess fats leading to aggressive weight loss leading to a lean body built. A combination of adequate gym time with this product can lead to best results. Black Piranha can be purchased from their website or from accredited online retailers. Methylhexanamine HCL (DMAA). It also is one of the few supplements available utilizing the revolutionary ingredient; Erythroxylum Coca Extract. This key ingredient alone is being touted by researchers as one of the most pivotal advances in weight loss since Ephedrine. Hi-Tech Pharmaceuticals introduces the stimulant effects of Coca leaves (Cocapure®) which have been used for centuries in most central and South American countries. Our pilot studies lead us to believe they are extremely synergistic with DMAA, caffeine, and our very exciting proprietary phenylethylamine alkaloids. Coca alkaloids are unique in that they have the ability to cause the release of catecholamines like norepinephrine, dopamine and serotonin. Serotonin is known for its ability to act as an appetite suppressant and to elevate mood. Dopamine—a neurotransmitter that helps control the brain’s reward and pleasure centers and regulates movement and emotional responses. Senegalia berlandieri is another stimulant based ingredient which promotes a strong boost in energy and mood thanks to the increase in dopamine and adrenaline levels in the body. Methylhexanamine HCl or more commonly – DMAA, is a mainstay in many of our weight loss products. Known as an effective way to help manage appetite and for increasing the pleasure center from its ability to increase norepinephrine production. Senegalia Berlandieri is an intense stimulant meant to increase energy, suppress your appetite while also providing a feeling of euphoria. Yohimbe Extract helps with stubborn fat areas by increasing fat utilization. 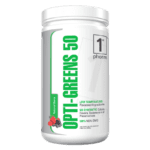 It works by increasing adrenaline levels in the body, as well as inhibiting a regulatory process in fat cells, which normally suppresses fat burning. Erythroxylum Coca Extract has been shown to help increase energy, decrease appetite, and help increase fat oxidation. Methylhexanamine HCL (DMAA) produces intense energy while providing you a tunnel-like focus and intense euphoria via increase Dopamine release in the brain. Methylsynephrine is a stimulant chemically similar to both synephrine and ephedrine and is known for being a great appetite suppressant while also improving mood and focus. Caffeine, about 200mg of it is included in every tablet. It may be not much but can still send you over the top if combined with other caffeine-filled drinks. Jitters, palpitations, and neurological effects like convulsions, involuntary muscle movements, and hallucinations are signs and symptoms of caffeine overdose. Gastric upset may also occur when taken on an empty stomach. Can I Consume Alcohol While Taking Black Piranha? No, avoid alcohol while taking this product. Can I Take Black Piranha With Other Supplements? The quick, short answer —YES. Carefully check the labels and ingredients of your supplements for dangers of overdosing. Avoid combining with products containing any stimulants such as Nitropro (Protein), BCAAS, Creatine, etc. Individuals who consume caffeine with this product may experience serious adverse health effects. Individuals who are sensitive to the effects of caffeine should consult a licensed health care professional before consuming this product. Do not consume synephrine or caffeine from other sources, including but not limited to coffee, tea, soda or other dietary products or medications containing caffeine or phenylephrine. Do I Need To Cycle Black Piranha Fat Burner? Yes, do not take for more than 8 weeks without taking 2 weeks off for maximum results. Hi-Tech Pharmaceuticals recommends that you take just one tablet after breakfast. You should never exceed more than three tablets per day. Take for a maximum of 8 weeks and then take at least 2 weeks off before cycling Black Piranha again. Cycling: This product should be taken for 8 weeks on and 2 weeks off. Not for individuals below 18 years old. This product is also prohibited for nursing or pregnant individuals. Caffeine users are cautioned as this product is also full of caffeine. Taking too much caffeine may lead to serious adverse health effects. Individuals who are sensitive to the effects of caffeine should consult a licensed healthcare professional before consuming this product. Micro Factor Review: Can This Nutrient Pack Help You Live A Healthier Life?